Diamonds are so beautiful, and it is without a doubt, every woman's secret desire. Every woman deserves some sparkle in her life. I believe that many girls wants a diamond as their engagement ring, A ring would be something I can look at on a daily basis and think of him and be reminded of our love and commitment to each other. The perfect diamond will make your big moment shine even brighter. 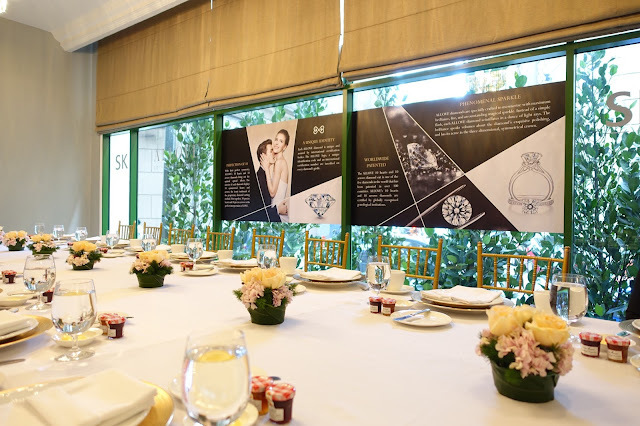 I attended the launch of SK Jewellery Allove Diamond Collection in Malaysia last week. ALLOVE diamonds are designer stones that keep on sparkling. 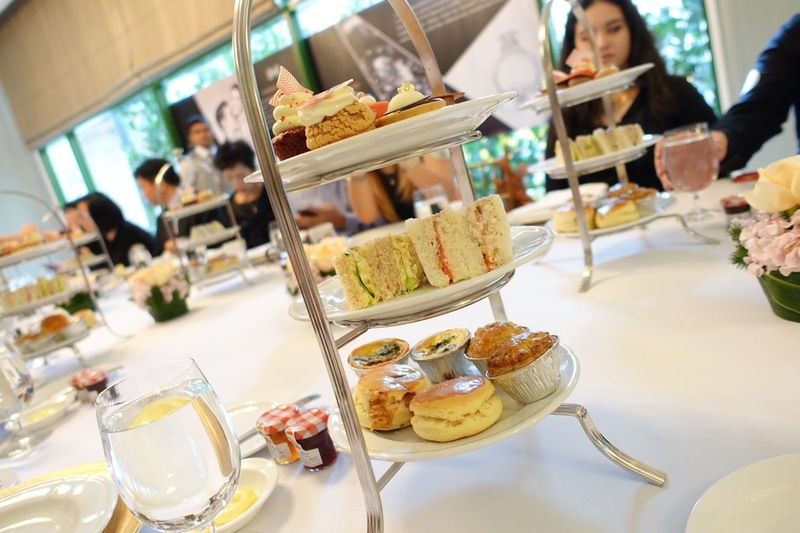 So happy to join the beautiful afternoon tea with them at Ritz-Carlton private room. The venue is perfect for an afternoon tea event. ALLOVE diamond was launched in Singapore in December 2015. SK Jewellery is proud to debut the stunning ALLOVE diamond in Malaysia. The collection offers an assortment of luxurious designs bearing the magnificent ALLOVE diamond which boldly pushes the boundaries in diamond-cutting techniques. The signature setting of ALLOVE bears an iconic design to represent the patented cut of 10 hearts and 10 arrows. As dazzling It took 30 years of research and development to engineer and only one in about 1,000 diamonds is selected to be crafted into an ALLOVE diamond harmonize clean lines of modern design, it is an elegant expression of love and commitment. ALLOVE diamond the best jewellery to match with gown. Anyway, all outfits go well with diamonds! ALLOVE diamonds go through multiple levels of intense polishing to increase their reflection capabilities substantially. Light rays go through many rounds of refraction within the internal surfaces of a diamond. Unlike conventional diamonds, every ALLOVE diamond showcases its phenomenal beauty with unsurpassed refraction and light distribution capabilities. 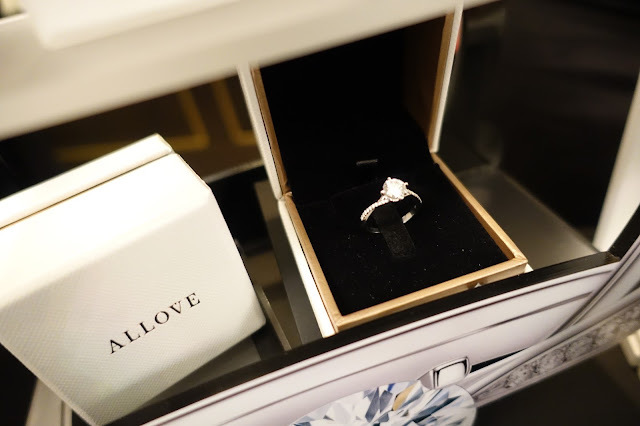 Each ALLOVE diamond is unique and assured by international certification bodies. Today, the ALLOVE diamond is born, an embodiment of human intelligence, artisan spirit and the romanticism of Europe. Boasting 10 perfectly symmetrical hearts and arrows, the 81 facets ALLOVE diamond sets a new benchmark in diamond light performance. All 81 facets of the diamond result in supreme brilliance and scintillation, making it life’s perfect sparkle. ALLOVE sources the finest diamond rough through the global supply chain to meet the stringent standards of the patented 10 hearts and 10 arrows cutting technology. Only 1 in every 1,000 diamond can make the cut to become an ALLOVE diamond. So happy that we are able to try the ALLOVE diamond during the event! 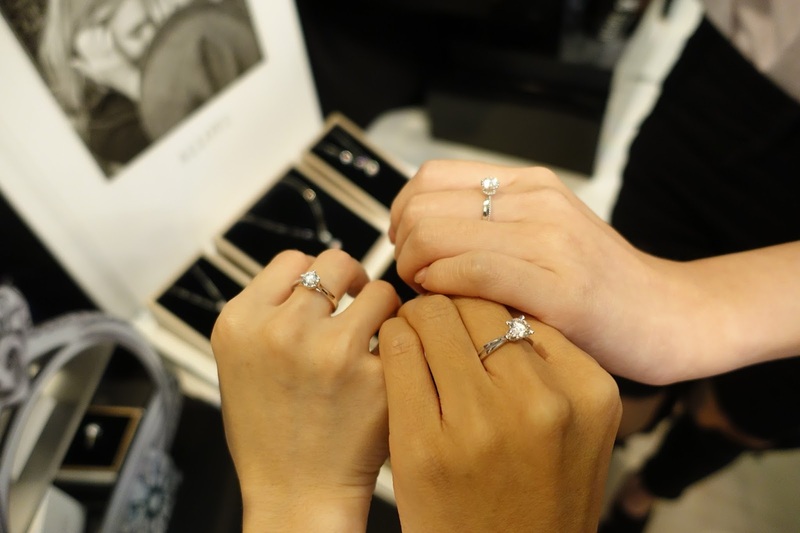 OMG, the diamond looks shiny and sparkly on our hand. We love it sooo muchhhhh. Made to be loved, cherished and passed on for generations, each SK Jewellery piece is truly Beautifully Crafted, Meaningfully Told.Discover life’s perfect sparkle with ALLOVE diamond!! Head to a SK Jewellery boutique to find out more about this entrancing stone. 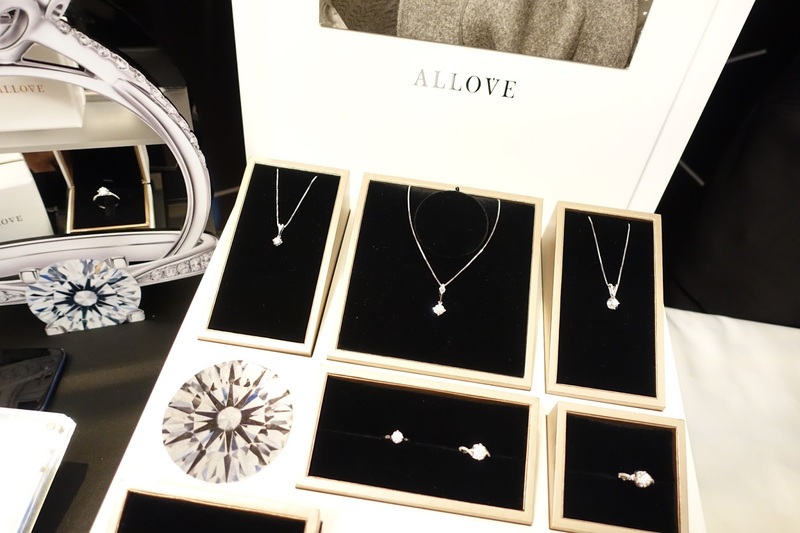 Discover life’s perfect sparkle with ALLOVE diamond!! Head to a SK Jewellery boutique to find out more about this entrancing stone. In selecting proposal rings for women, diamonds is the most wide preferred option and a solitaire diamond is the proposal ring every woman would desire for.